I'm going to share a little secret with you. I didn't watch The Great Gatsby up until recently and it wasn't a re-run at the theater or even on a nice flat screen tv. It was a freebie on an airplane. Shameful, I know. But better late than never! Being a huge fan of Baz Luhrman, it's a wonder it took me so long to soak in the glitz and glamour of the roaring 20's but boy was this movie stunning or what?! I mean, seriously. There's just so much visual inspiration to pull from here and my heart has been stuck with the idea since. With my birthday coming up this weekend (December 14th! Woo! 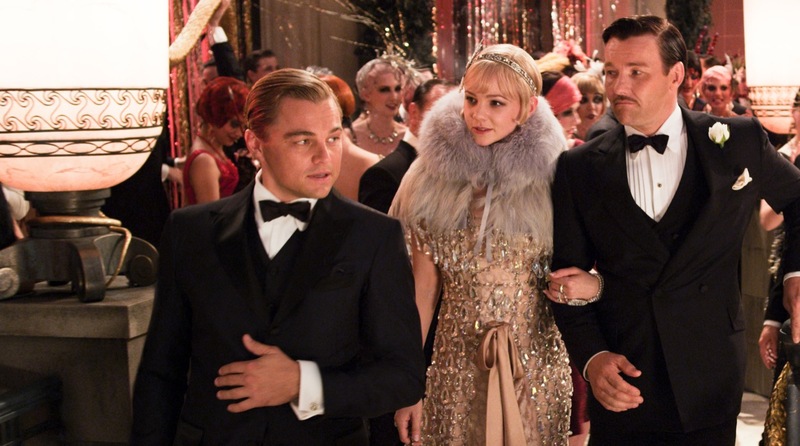 ), I knew I wanted to have a Gatsby-themed party. (If you follow my 2nd channel From Jen on Youtube you'll get to catch a glimpse of during Vlogmas since I'm vlogging everyday until Christmas. Lots of no-makeup Jen and onesies over there.) so I wanted to share a bit of fashion eye-candy that I've been getting googly-eyed over. Readers, do you have a particular style in mind for the holidays? What do you think of 20's style? I'd love to hear what you think in the comments! I love Gatsby and I think Baz Luhrman did his world of glitz and glamour some serious justice! Can't wait to see your party on Vlogmas! Oooooh, New Years party is too perfect for the look! Ahhh I bet it will be so much fun! Would you do an Evanescence "Call me when you're sober" makeup tutorial? I think it would be a great holiday look. The only thing is I am a tan Korean. Not sure how to make it to work. You are awesome! I love your videos. Best on YT! Oddly enough, the same thing happened for me! I ended up watching The Great Gatsby on a flight as well, long after the release of the movie. Although I didn't care much for the story, I must say the visuals were absolutely stunning. Your idea of throwing a 20s theme party is really neat. I totally see it being a blast and loooove the head pieces you posted. Great NYE inspiration. Thank you. I love hair accessories. psst I haven't seen the great gatsby yet! The Great Gatsby was a great movie ;u; I love the sparkly dresses you posted! I love The Great Gatsby movie so so so much! Great post. The purple dress from FreePeople is amazing! I love the Gatsby style! It's nice and feminine.